In humble submission to the will of God, Christian Memorial Chapel, LLC sadly announces the passing of Mrs. Johnnie Lee Dean Chatman, age 101, of Graceville, Florida. Mrs. Chatman transitioned into eternal rest and peace Wednesday, February 6, 2019 at the North Florida Health and Rehabilitation Center in Graceville, Florida. 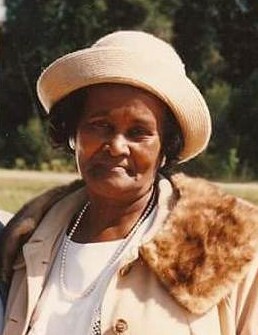 She was a native of Houston County, Alabama and a member of the Salem A. M. E. Church in the Browntown Community of Graceville. Although we are saddened by her passing, we rejoice in knowing that she in a land "where she'll never grow old." Farewell, Mrs. Chatman you were called forth by God, and your soul was truly blessed. We will not weep and mourn because we don't see you on this side anymore. We know that you'll be waiting to meet us on the other shore.